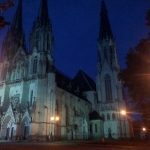 We will drive you from Prague to Brno, the capital of Moravia which takes about 2 hours. 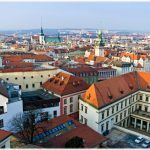 In Brno, we will show you the historical center, Cathedral of Saints Peter and Paul, the Capuchin crypt as well as the UNESCO sight – Villa Tugendhat. 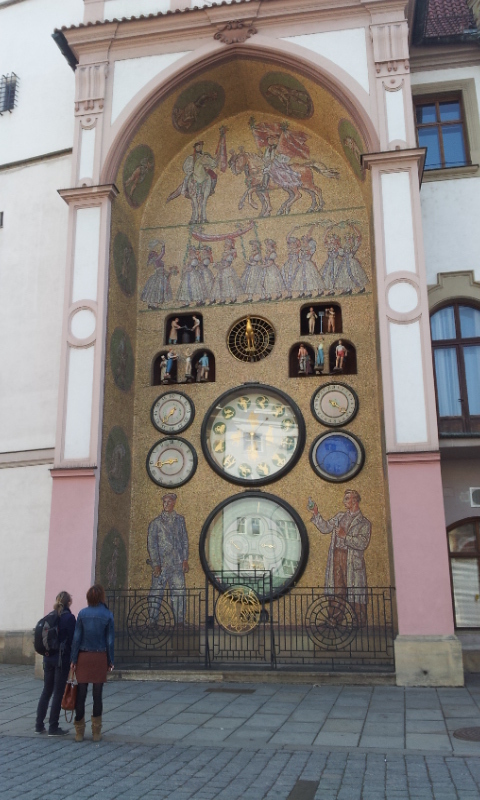 After a lunch at a local restaurant, we will continue by car/van (one hour) to Olomouc, a Moravian pearl where you can admire a local Astronomical clock, the Holy Trinity Column and the Cathedral of St. Wenceslas. After dinner we will set off to Prague. 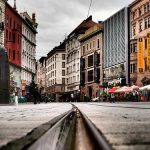 Located two hour drive from Prague, the capital of Moravia and the second largest city in the country, Brno offers tourists a respite from overcrowded Prague. 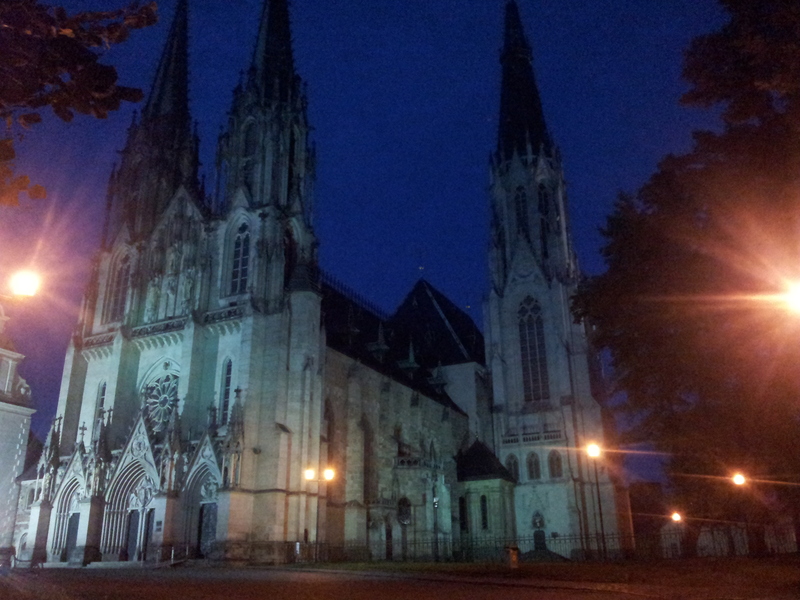 Its historical center holds a plethora of sights from a cathedral and churches to a castle and museums plus much more. 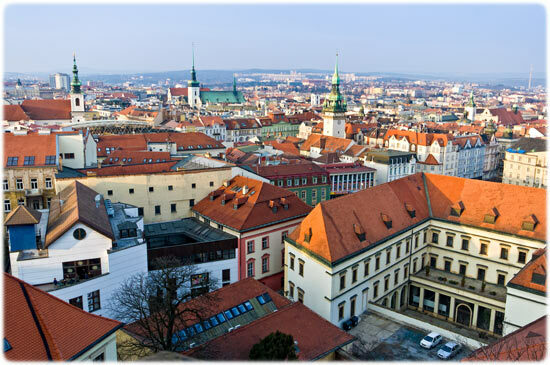 The Cathedral of Saints Peter and Paul and Špilberk Castle (sometimes referred to as Spielberg) dot the skyline of this often overlooked major town. 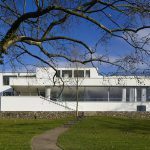 Take a peek inside the functionalist Villa Tugendhat with its architectural charm. Gaze in awe at the Old Town Hall with its late Gothic ornamentation. Visit the ossuary below Saint James Church. There are many choices for sightseers in this city. Listed as a World Cultural and National Heritage UNESCO site since 2001, Brno’s Villa Tugendhat is an architectural wonder due to its structure, layout, furnishing, setting and technical equipment. Its use of rare and exotic materials also makes this functionalist home designed by architect Ludwig Mies van der Rohe unique. This steel load-bearing structure of reinforced concrete is noted for its openness. Its unique furnishings include chairs designed by the architect specifically for the house and an onyx wall. 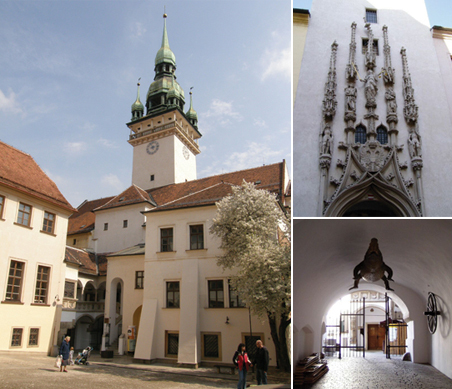 Founded in the 10th century, the town served as the capital of Moravia from 1187 to 1641. The last Přemyslid king, Wenceslas III, was even murdered in this town during 1306, putting a halt to the Přemyslid dynasty. 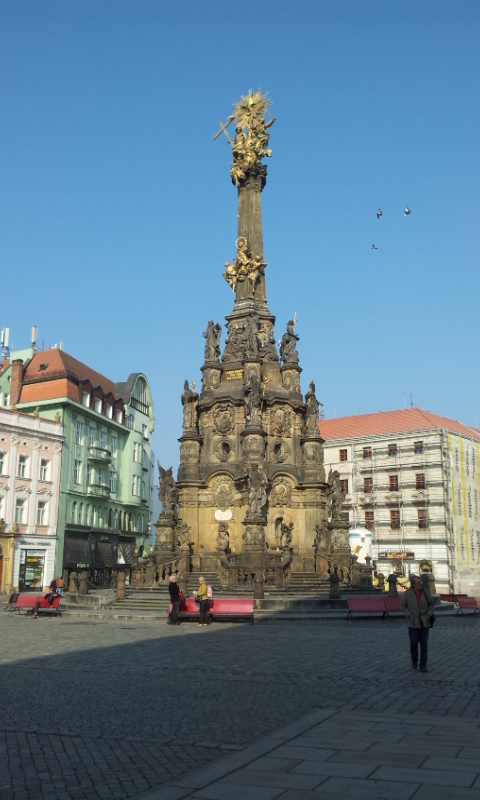 In the center of the city are two picturesque monument-flanked main squares, dotted with a plague column and fountains with rich sculptural decoration. The middle of the Upper Square is punctuated by a four-winged Renaissance town hall, originally built in the late 14th century. The neo-gothic façade of the northern wing dates from the start of the 20th century. 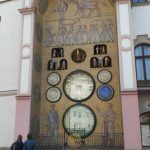 The town hall features a Renaissance portal, loggia, and late Gothic oriel windows as well as an astronomical clock that was stripped of its religious symbolism in the 1950s due to the Stalinist ideology of that period. 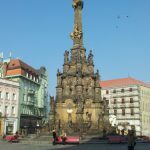 Nearby the vast Holy Trinity Baroque group sculpture, the largest of its kind in the country, measures 35 meters and dates from the 18th century and was completed by Johann Ignaz Rokický after four other builders died during the plague column’s construction. Baroque statuary abounds at this site that has been protected by UNESCO since 2000. 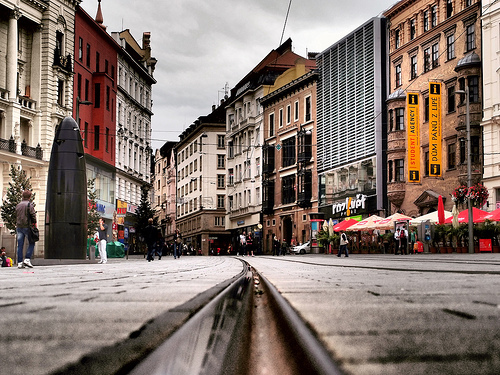 The Czech Republic is more famous for beer than wine. Nevertheless, Moravian wines have good reputation. You can taste them yourself during lunch at a local restaurant. Upon request we can also tailor this tour so that you can visit different wineries in Moravia. 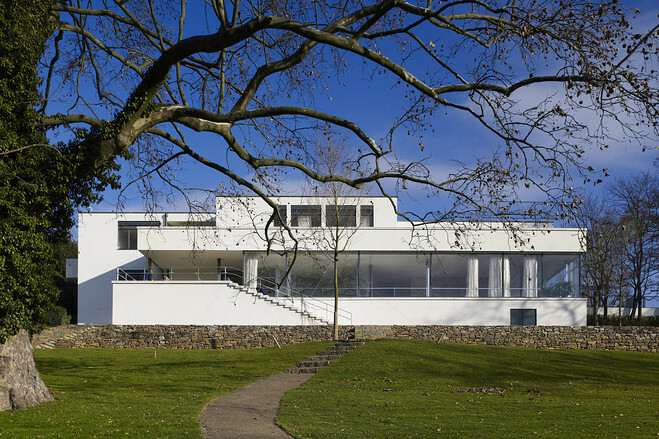 Additional Info The visit of the Villa Tugendhat needs to be reserved prior arrival.